(Sorry for the glare on one of the blushes)! For those of you who follow my YouTube channel then you know that I had a very lovely subscriber send me a box full of amazingness. I may have talked about it on here before but because I’m nearing the end of my fall semester, my brain is melding all of my worlds together. Intellectual property law is entering my twitter world and the Federal Rules of Evidence seems to make sense when I’m talking about lipstick. My brain is fried so I can’t remember where I mention which things. Anyways, a great subscriber named Hollie (girls named Holly/Hollie are obviously amazing jk), sent me a box full of makeup and nail polish after I talked to her extensively about how I was looking for one of these blushes. Well, not only did she send me the one blush I had been looking for, for what seems like forever and it is now discontinued (sorry guys), but she sent me 2 more. So I thought I would share them with you today. Although one of these is discontinued, the other two are still available, so I only feel one third of the way guilty showing these swatches. Raisin: A browny plum matte: this was the blush that I had wanted for a good 2 years and could not find for the life of me. It is the perfect fall blush and looks amazing on almost everyone I see wearing it. Unfortunately it is discontinued, or it seems that way from the absence on the Nyx website. So enough said, I won’t torment you guys anymore. 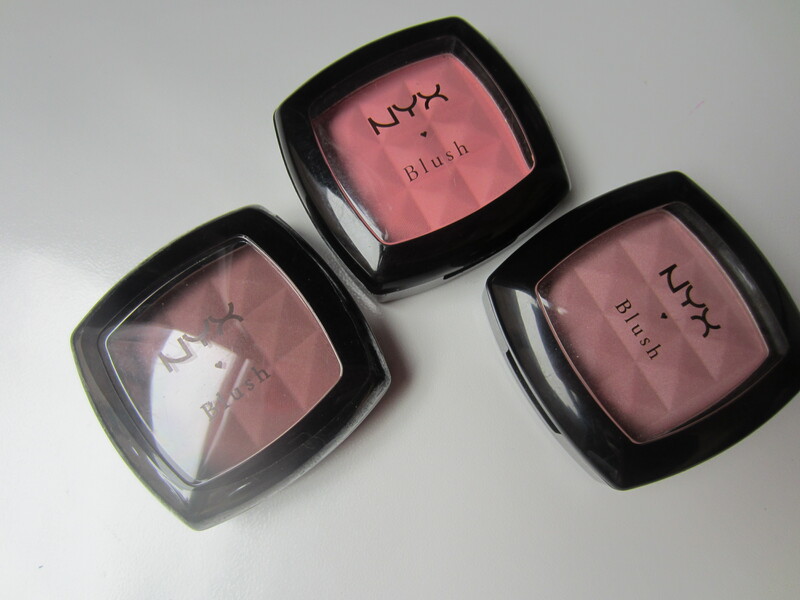 Peach: A baby pink matte: this blush seems like one of Nyx’s best selling blushes. Whenever I hear about Nyx blushes, I always hear about Peach. 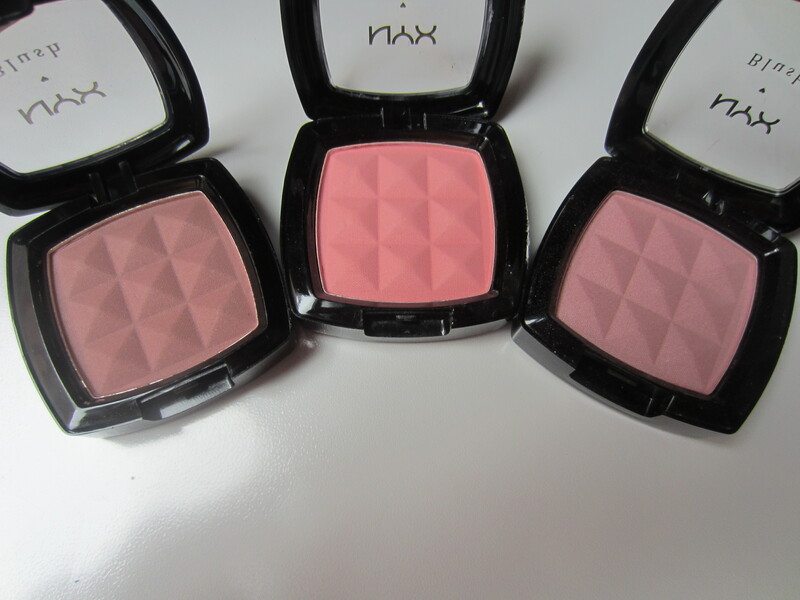 For some reason, Nyx isn’t the best when it comes to naming their blushes to match the color (i.e. their Mocha blush being a mid-toned pink). This is a true baby pink and is nicely pigmented. I think this would be best on people with lighter skin tones, because I’m really pale as it is and it just gives a light wash of pink color to my cheeks. Angel: A light muted pinky-purple. Nyx describes this as a light dusty plum pink, which seems very true to how it comes off. Very pretty and very pigmented and it could work all year round. It shows up as a natural plumy flush on my cheeks and I bet in the summer it would give a natural bit of definition. I think it would work on every skin tone. Overall, I really like these! This isn’t really a review because I’ve had a ton of Nyx blushes in the past and there are a million and one reviews online. This is more of a post of me showing you some new blushes to my collection and my thoughts. Hopefully you guys like this style of post! 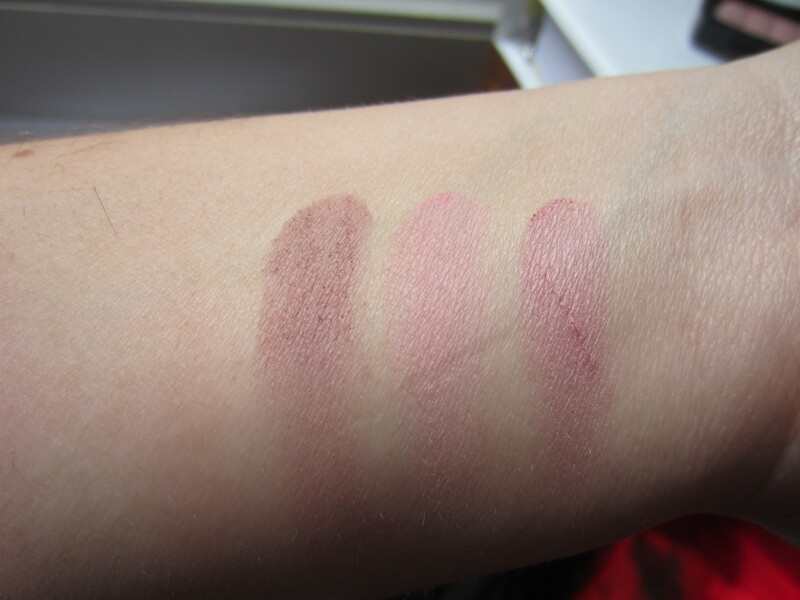 Raisin and Peach are still on Cherry Culture…might have to get it even though I have more than enough blush! I love NYX Cinnamon! now i need to get another raisin for a backup! thanks for the heads up! LOVE the peach blush, but I definitely agree about their confusing names, they don’t really match the colours. Another good fall colour is desert rose. It’s similar to mocha, but a bit darker. Raisin and Angel look like the perfect fall blushes! Love it!